The Team Taylor Foundation was established in July 2018 in loving memory of Taylor Francis Henry. Taylor lost her life due to a virus called Myocarditis. She left behind parents Paula and Mark, sisters Montana and Charlie, and brothers Riley and Lachlan. 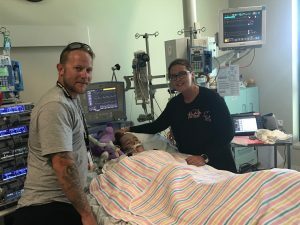 On the 22nd of January 2018, Taylor was taken to the Geelong Hospital with what was thought to be an irregular heartbeat. 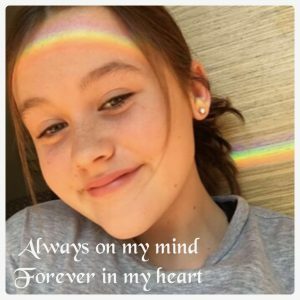 A few short hours later she was transferred to the Royal Children’s Hospital (RCH) ICU, where we were told that she had a virus in her heart called Myocarditis. Within hours of Taylor being at the RCH, she was placed into a coma and put on life support. Over the course of the next 24 days Taylor would undergo several invasive procedures, 5 operations and 3 major open heart surgeries. Helping families dealing with Myocarditis in conjunction with the Royal Children’s Hospital. Scholarships; whether they are sporting, academic, or within the community. And the big one is to buy a house or unit within walking distance to the RCH that will be fully furnished and self-contained – to help families that have to relocate from interstate or country Victoria to reserve the best possible care for their child without the worry of extra bills, rent ect.